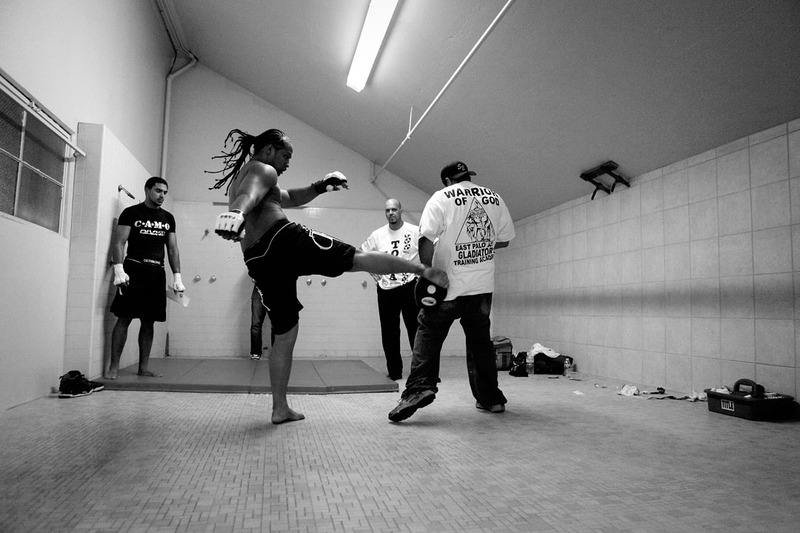 Fatai Bailala of East Palo Alto warms up in the Palma High School's locker room before his fight at the Central Coast Throwdown in Salinas.“The progress of our sport requires us to maintain a higher level of regulation than most other sports,” said J.T. Steele, president of Los Angeles-based California Amateur Mixed Martial Arts Organization. Along with insurance that includes accident and health coverage, each fighter must undergo a physical and medical screening for diseases such as HIV and hepatitis before being licensed by the California State Athletic Commission to compete.